The current debate on National Football League (NFL) players kneeling during the playing of “The Star-Spangled Banner” has sparkled a large debate within the United States. The United States is a nation that prides itself on its citizens having the rights: to freedom of speech, of the press, of association, of assembly and petition as protected by the First Amendment of the Constitution for the United States of America. In the 20th Century (1900s), after World War I, the United States participated in military operations against NAZI Germany and the Empire of Japan (World War II). The participation in War War II was to protect these constitutional freedoms for American citizens and to prevent the governments of Adolf Hitler’s Germany and Imperial Japan from controlling the world and the world’s natural resources. Sadly, during World War II many of America’s citizens were not granted their American rights and freedoms especially African Americans. Also, those people of Mexican national origin or Spanish speak indigenous origin and Japanese descent did not have their full American constitutional rights. African Americans had already served in every war of the United States beginning with the American War of Independence. Yet, African Americans were treated as second class citizens even during their participation in World War II. It would take groups like the Tuskegee Airmen and other African American service men and women to help force a change in the federal government’s attitude towards African Americans. Unfortunately, this did not always change the attitude of some of America’s white citizens towards all Americans being granted their Constitutional rights. It would not be until the passing of: the Civil Rights Act of 1957, Civil Rights Act of 1964, Voting Rights Act of 1965, and Civil Rights Act of 1968 (Fair Housing Act) that some white Americans began to accept people of color as equal citizens. But, laws can not change attitudes. Since World War II the United States has participated in a number of international wars to help other nations of the world gain these same freedoms of expression…what Americans simply call “fighting for freedom”. Today, the United States is populated by many new Americans from around the world. For example many people of European heritage have family members who only emigrate from Europe from the 1870s to the 1940s. There are also other ethnic groups of Americans who emigrate from other parts of the world after the 1940s. Yet, there are African Americans who have family members dating pre-1865 to the land called the United States. Every American does not have to show the same patriotism as others. Some see their patriotism as flag waving and national anthem singing. Others see patriotism as in helping their fellow American citizens in need. Some Americans see patriotism as in serving in the United States Armed Forces. Others see patriotism in being public school teachers or college professors. Some people show their patriotism by running for pubic office. Some Americans also see American patriotism in their right to protest non-violently, such as taking a knee during the playing of “The Star Spangled Banner” during an NFL, NBA, MLB, NHL or MLS game. This kneeling has opened the conversation on the state of race relations in America. One has to only refresh their recent memories of the presidential elections of 2008, 2012 and 2016 to understand the state of race relations in the 21st Century. During contemporary times it can be easy to assume the that “The Star Spangled Banner” has always been popular or has always been part of the NFL. 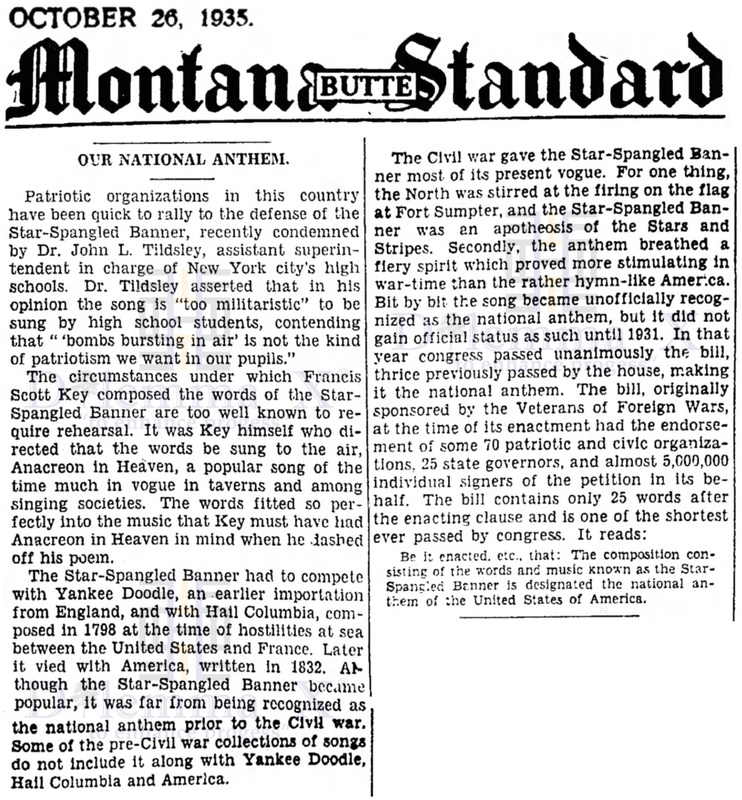 Below are just a few historical newspaper articles showing how “The Star Spangled Banner” has not always been a popular patriotic American song for American citizens. 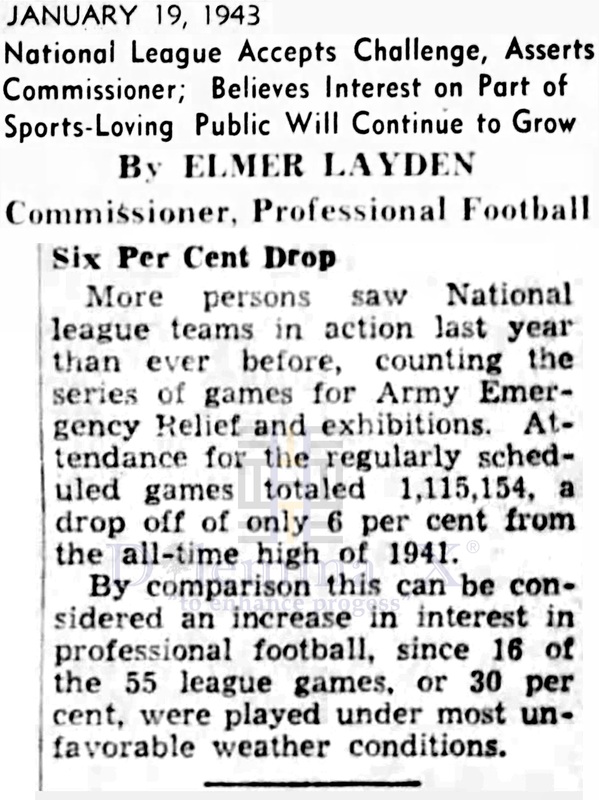 These historical articles also show when it became popular to use the “The Star Spangled Banner” during NFL football games, mainly due to World War II. The United States did not enter World War II until after the Empire of Japan bombed the American fleet in Pearl Harbor, Hawaii, on December 7, 1941. 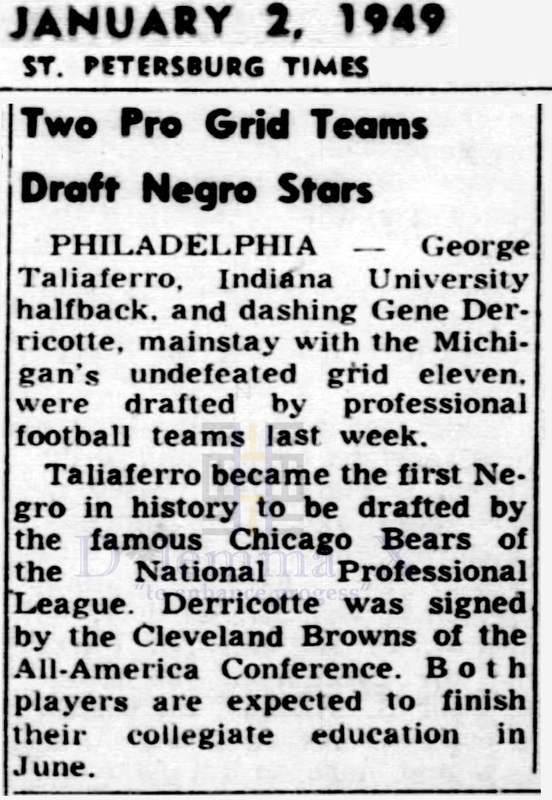 It would not be until September 30, 1962 that an African American would be on the roster of the Washington Redskins. 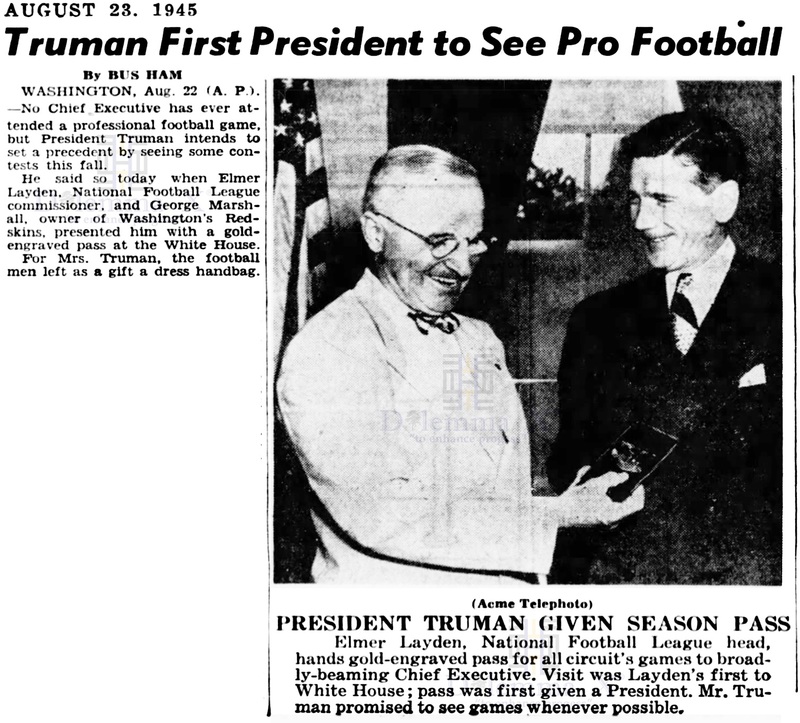 Washington was the last professional football team to integrate. In many American newspapers the selection of “The Star-Spangled Banner”, as the National Anthem, did not make front page news. 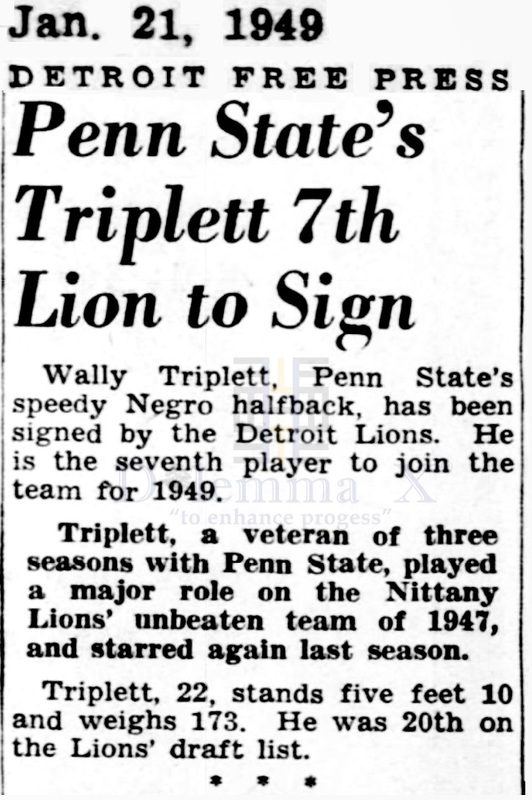 See the following link to view historical newspapers from 1931.